The iBall Musi Poison comes with a 1500mAh rechargeable battery that the company guarantees can provide 4.5 hours of playback time on full volume. 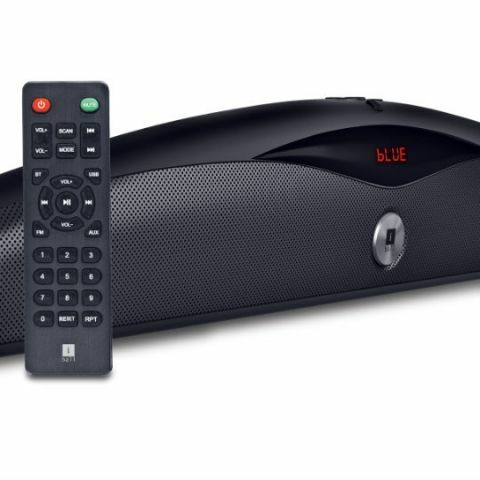 iBall has launched its latest portable Bluetooth speaker, the ‘Musi Poison’ priced at Rs 3,999. The speaker weighs at 0.5kg and supports audio playback via USB, Micro SD and Aux. It is also speaker equipped with an inbuilt FM Radio and a mic for receiving calls. The iBall Musi Poison comes with a 1500mAh rechargeable battery that the company guarantees can provide 4.5 hours of playback time on full volume. The product can be purchased via retail stores across India. iBall, a brand known for its innovative and latest technology products, announces yet another extension to its audio range with ‘Musi Poison’ Portable Speaker – a sleek, beautiful and unique design with exemplary sound, making it worth the experience. It’s time to empoison your senses with Musi Poison! As much as the music keeps us intoxicated, the intricate design of iBall Musi Poison with its graceful curves and sleek form factor will leave you stunned. Adding charm to your interiors, the speaker at less than 0.5kg allows you to carry your passion for music wherever you go, making the perfect combination to your Travelogue. Engineered with powerful and natural acoustic sound, Musi Poison delivers impeccable audio experience moving you crazy and with shivers in your nerves. Whether it’s the soft music or foot tapping tunes, Musi Poison adjusts itself delivering soothing and breath-taking experience.With 12 Watts peak power, stay tuned to your Music with deep bass and action. Its wide spatial sound feature brings the powerful sound effect with the built-in bass enhancer for rich deep tones, bringing powerful sound effect. Equipped with versatile connectivity options, the speaker allows you to connect your favourite devices wirelessly via Bluetooth. Moreover, it comes with limitless options to play music through USB, Micro SD and AUX. The speaker is also equipped with in-built FM Radio that promises to match your every mood frequency. With built-in Microphone for hands-free calling and call control manual buttons, the speaker enables superior performance. Sporting digital LED display and bundled remote control for easier convenience, iBall Musi Poison comes with the rechargeable battery capacity of 1500mAh that guarantees 4.5 hours playback time and non-stop Music on full volume. In shades of Deep Black, the product is available with leading retail stores across India at an MRP tag of Rs.3,999 only.